“ FORGET those Cheap VAG-COM Clones Easily Found Online! Testing Them Showed VCDS Software is Cracked-Modified, and Low Quality Firmware Chip Causes 54%+ Functions To NOT Work. Imagine having peace of mind and complete thrill of finally owning the worlds most advanced and comprehensive OBD diagnostics scanner, coder and systems modifier for your Audi, SEAT, Skoda or Volkswagen car made between (1 Jan 1994) to ( ). 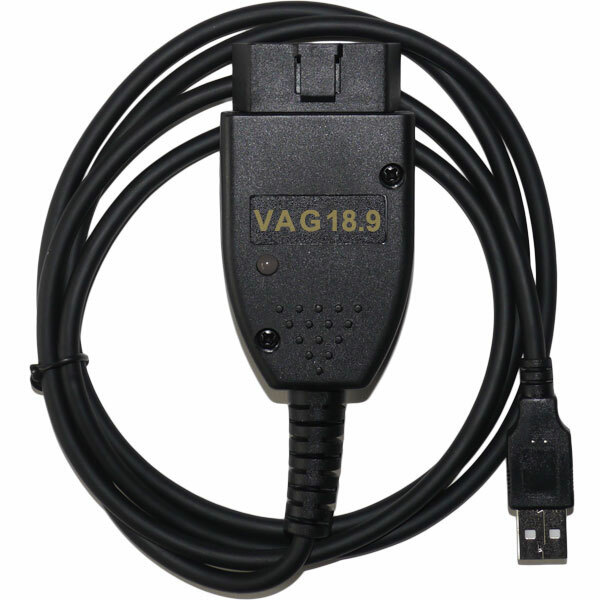 That's exactly what this VAG-COM 18.9 kit does. There is nothing on the market today that matches VAGCOM's capabilities. Which is why it's used by automotive workshops and dealers. But now you can own it too. Firstly - this VAG-COM 18.9 kit (using original Ross-Tech™ VCDS 18.9.0 software - and does NOT need VCDSLoader crack to work as is true for nearly all VAGCOM clones sold online) will let you thoroughly scan vehicle health information on all it's systems. It will also modify vehicles performance and behavior on how it functions inside and performs outside on the road. You get to customize your car to your personal liking. For example — besides just reading and/or clearing generic and manufacture DTC (Diagnostic Trouble Codes) fault codes — VAGCOM can also perform: adaptions, mileage adjustment, behavior of components, testing components, brake bleed, DPF, EGR, etc. Basically you're getting same advanced level diagnostics and coding support as OEM dealers or a certified VAG mechanics have — who charges upwards of $250+ per hour. 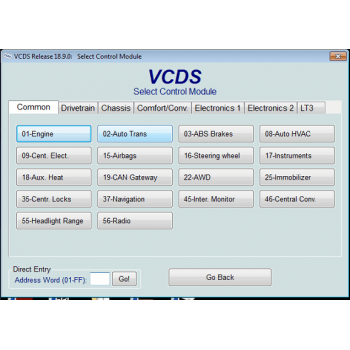 In addition — this VAGCOM kit also works as generic OBD2 reader on any car brand in the world (EG: BMW, Mercedes, Subaru, Nissan, Toyota, Mazda, GM, Ford, etc). In short — it's capable of extracting, diagnosing and resetting 4,000+ (OBD2) Engine/Transmission fault codes on non-VAG vehicles. 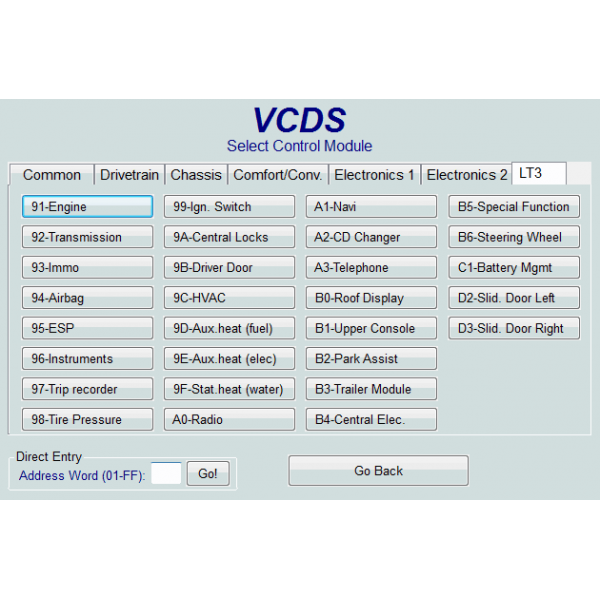 And 20,822 (OBD1/OBD2) generic and manufacturer fault codes on VAG vehicles (Audi, Seat, Skoda, Volkswagen). While this is 3,108 more codes then VAG-COM 12 — main improvement in VAG 18.9 is it's short/long coding ability. But also includes much better reliability in scanning all manufacturer systems, where VAG 12 would otherwise fail. 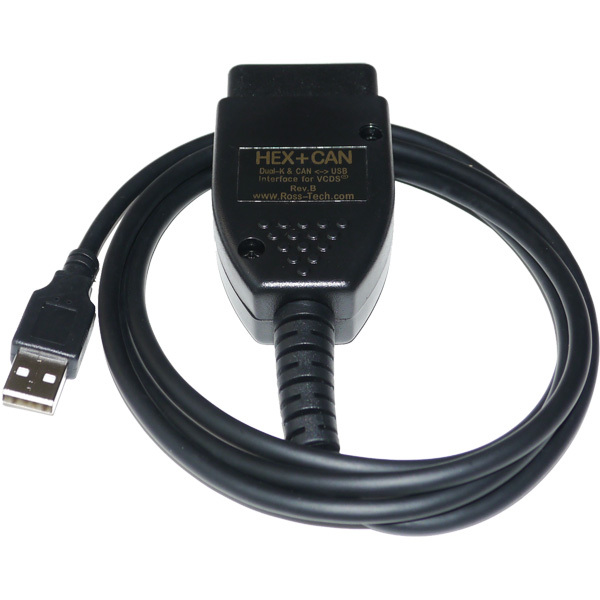 Our version of VAG-COM cable uses a 3rd Party manufactured chip. 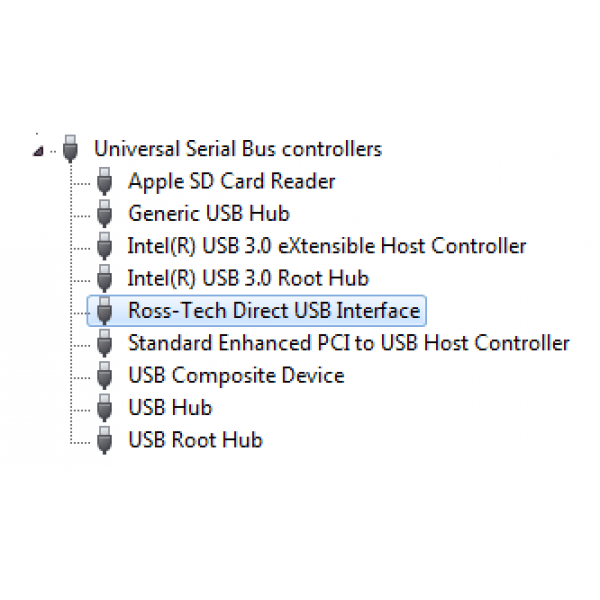 That's why we can keep costs down — because we're not using Ross-Tech™ OEM chip — but 3rd party chip using identical firmware code. In short, this cuts down our OEM licensing fees... hence we pass those savings onto YOU. 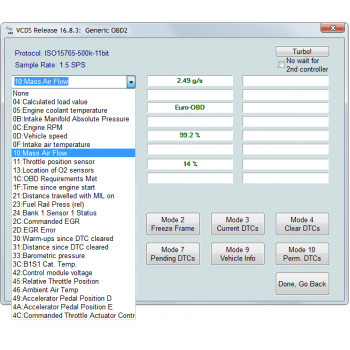 So to clarify... Total Car Diagnostics VAG-COM 18.9.0 cable gives you 100% identical capability of what original VAG-COM $600+ kit can do. 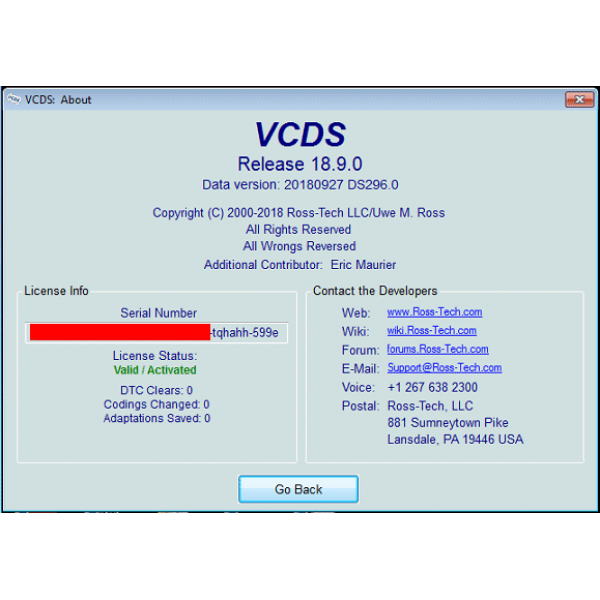 In summary: This VAGCOM 18.9.0 cable and software is the exact same product in terms of functionality and features when compared side-by-side to original RossTech VAG-COM $600+ kit. You're about to own it at a fraction of the cost. Also our VAGCOM works on unlimited VIN / vehicles - and on unlimited computers. So no restrictions of any kind. Disclaimer: We are not associated to RossTech company. All technical help for this product must go to Total Car Diagnostics, and not Ross-Tech. And we hope you'll see how good our cable is that you'll eventually buy original Ross-Tech, because they absolutely deserve it and are always up to date. Make no mistake, our VAGCOM USB cable cable will give original VCDS 18.9.0 full version software with all features unlocked... and without any "hidden" future payments. Basically it's unlocked to full version for a lifetime. There's no monthly/yearly fees of any kind. Improved UDS mapping speed and reliability when sub-channels are present; progress indicators. Fixes SRI reset in newer Crafter instruments. Unlocked to unlimited VIN / vehicles. Also works on unlimited computers. No restrictions. Added data types 0B, 0D, 0F to Generic OBD-II Mode 9. Completely revised and expanded ROD (ODX) Data. 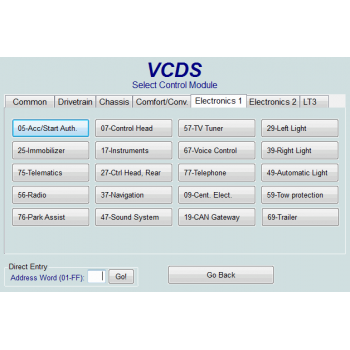 Functions supported: Control Module ID and Advanced ID, Fault Codes (Read and Clear), Supported Codes, Security Access, and Adaptation. Other functions such as Measuring Values, Output Tests and Basic Settings will be added in future versions. More universal Airbag Coding Assistant. New "Upload Debug/Log File" function in Applications Dialog. New area to display additional info for Basic Settings. Refactored DTC routines which interpret DTC data, including enhanced interpretation of status byte for DTCs in UDS modules. Revised and expanded Label Files. 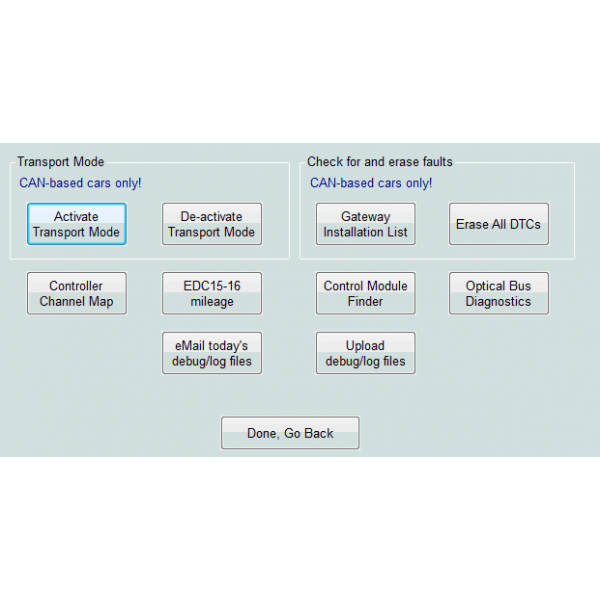 Revised and expanded ROD (ODX) data set and UDS control module addresses. Shows mileage in Auto-Scans on cars using UDS instrument clusters. Shows realistic dates in freeze-frame data even on cars that don't know the actual date. 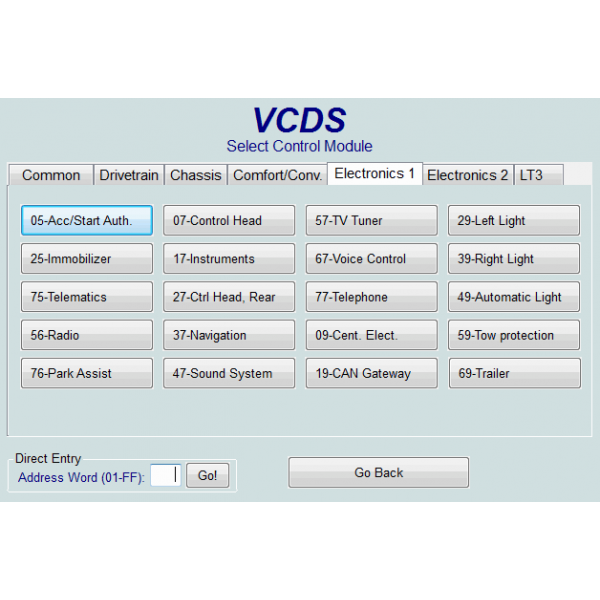 Supports comprehensive Anti-theft System such as IMMO1, IMMO2, IMMO3, WFS, etc. Still not sure if your vehicle is supported? Check here for detailed vehicle support list. Compatible with Windows XP, Vista, 7, 8, 8.1, 10. Works on both 32/64-bit. MacOS is not supported (although works on Parallels / Bootcamp). 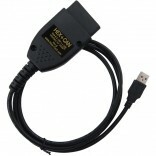 OBD-II Plug: J1962 16-Pin Male (to Car). Also supports CAN Bus. 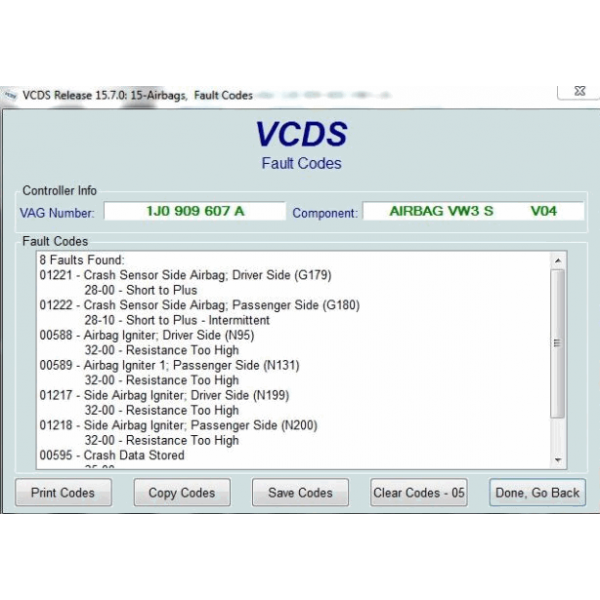 It shows you process to reading fault codes and saving the displayed DTC code to a file. Code is cleared and after re-checking is found to have immediately re-instated. This shows us that the fault is present on the car still, so further testing is shown. 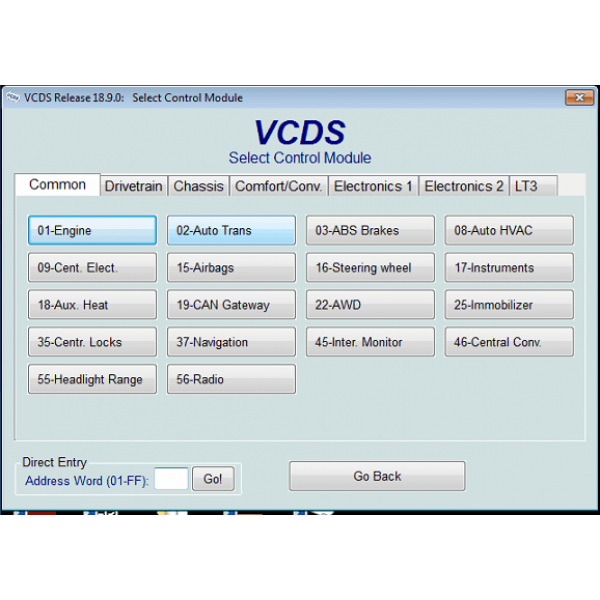 Next the video shows how the output from each wheel speed sensor is measured and shows by VCDS software as the car is driven a short distance by testing assistant. Speed signal from each irrespective sensor is displayed in the measuring blocks and the output is seen to count up from 0k/ph to about 10k/ph on 3 wheels while one wheel remained at 0k/ph. 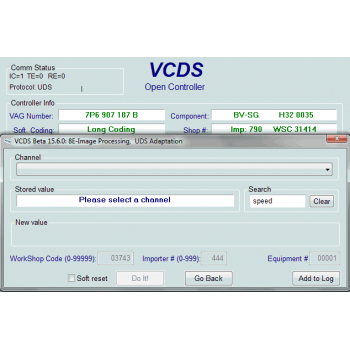 Output is also displayed using the VAG-Scope tool which is included in the VCDS software. This shows how wheel speeds can be recorded and viewed after a short drive - when there is no assistant available to operate the vehicle. ABS pump, brake pedal switch and modulator valve block are tested thoroughly using the output tests. Diagnosing the TCU (transmission control unit) for diagnostic fault codes. 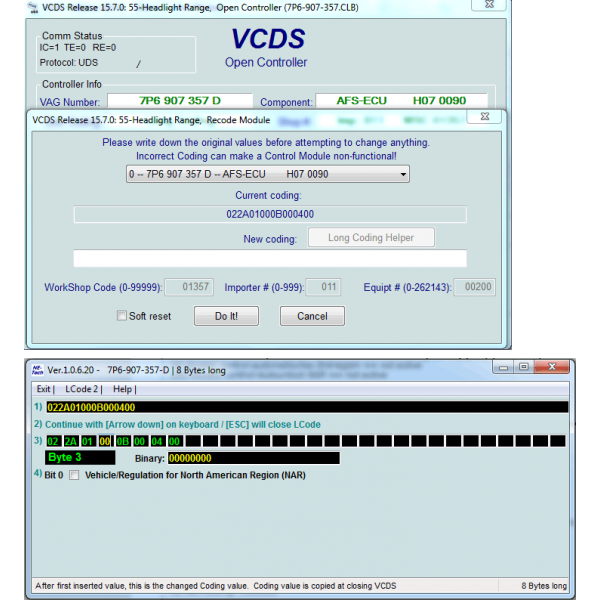 A fault code is detected and stored in the TCU and the code number together with the text meaning for the DTC fault code is shown. 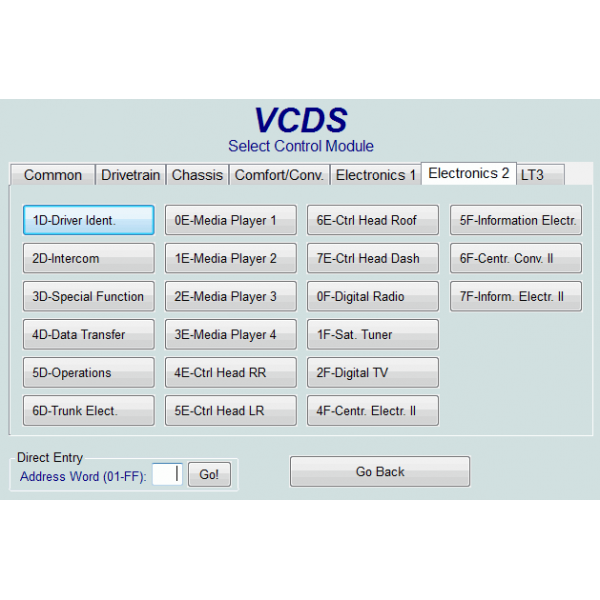 Live data segment of VCDS software reveals the values from the throttle sensor and gear selector switch. Extra live data screen reveals each gear solenoid and teaches you what each does in relation to gear changes and driving mode. 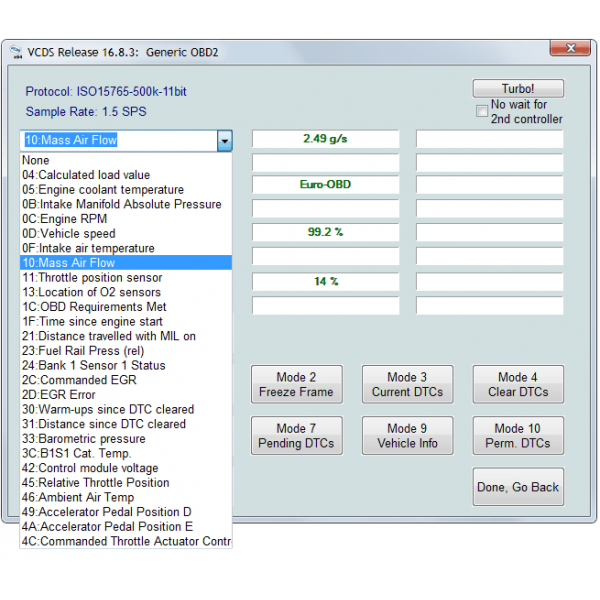 Live data is presented at various on-road speeds and status for each solenoid is shown. Difference between mechanical drive and hydraulic drive is clearly depicted and clarified. 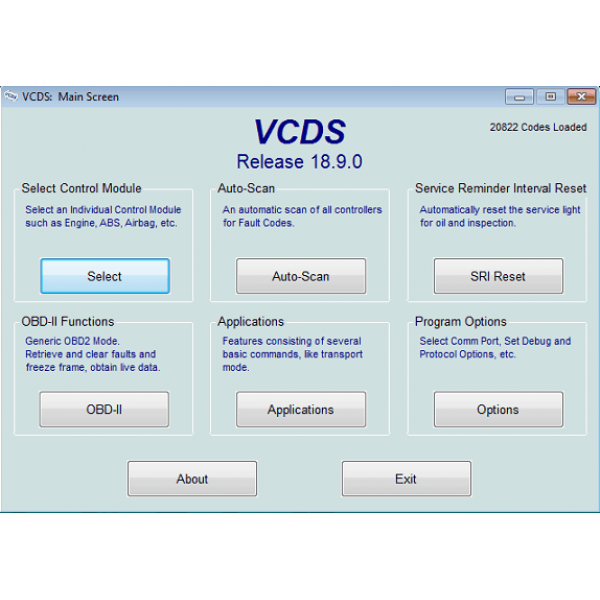 Learn how diagnostic fault codes are scanned from the SRS system and how the circuit status for the drivers and passenger air bags are displayed and tested. Circuit status through each pre-tensioner is displayed and supply voltage to the component is tested. 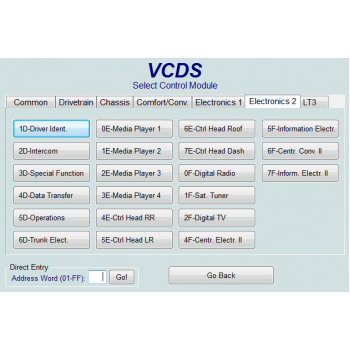 Presentation also displays the adaption section of VCDS which is utilized for disabling/enabling passenger airbag and other related functions. 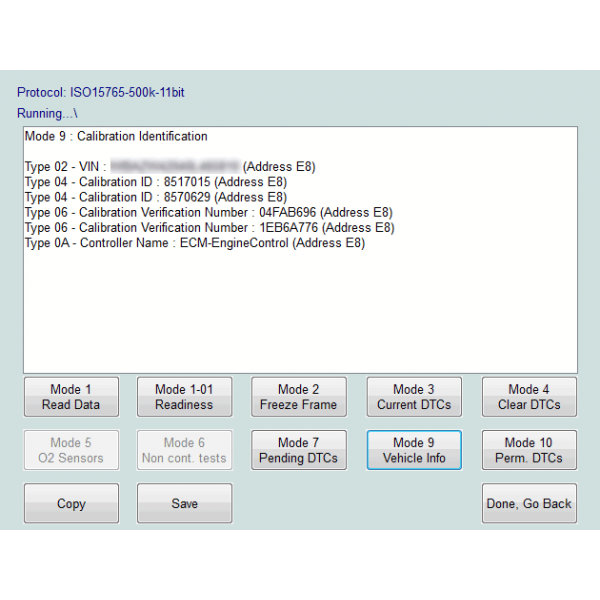 See how to analyze for diagnostic fault codes - and see live data from different sensors on the car engine. 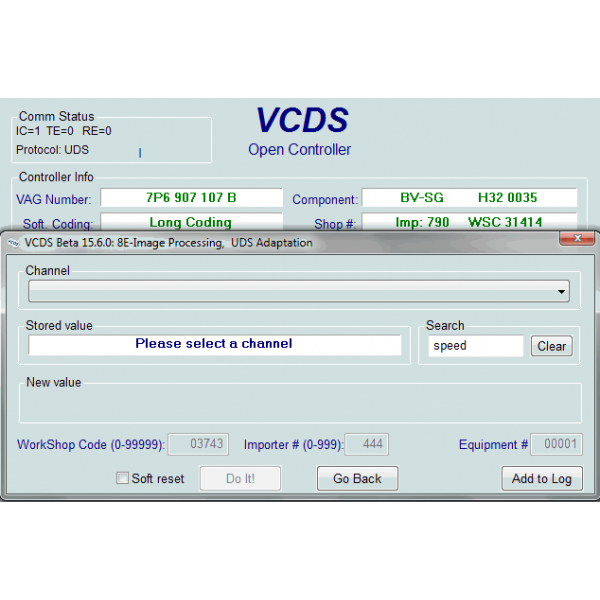 It shows you how to use VAG-Scope to record Lambda sensor data - while the RPM of the engine is differentiated. 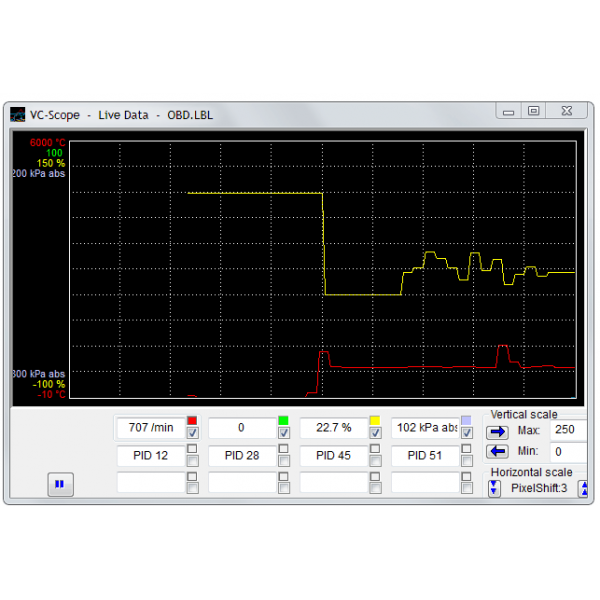 See how to display the recorded data and it's details the Lambda sensor graphically outputs - together with engine temperature and RPM. 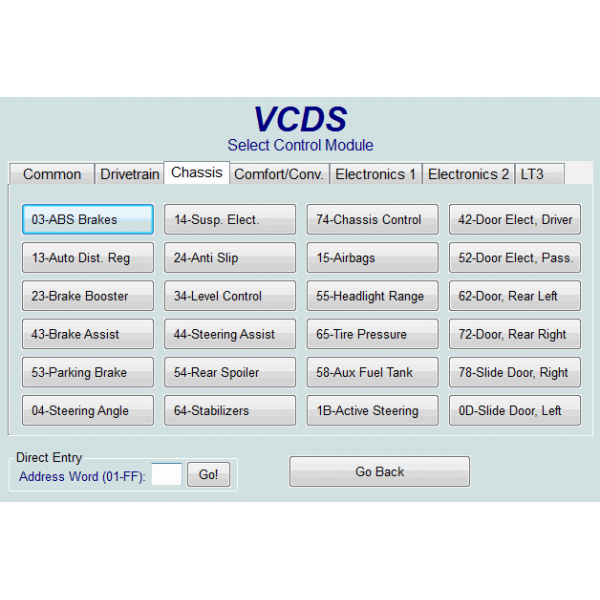 Second part of presentation shows some of the live values from distinctive engine sensors - and how they can be equated to the manufacturers specifications inside VCDS. 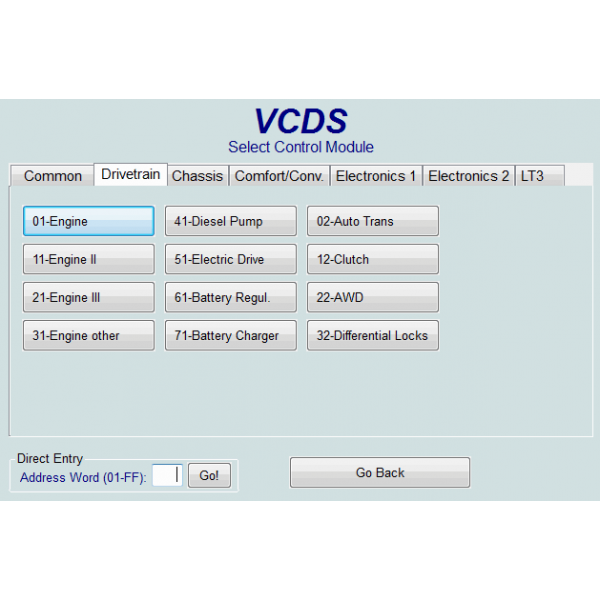 Logging outputted data to your computer is shows where sensor values can be saved while driving for future evaluation. 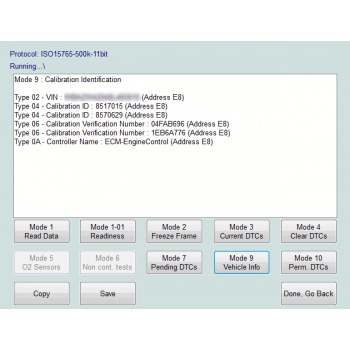 See how live data measuring blocks are put in effect to determine valid keys and how you would program new keys to the vehicle. 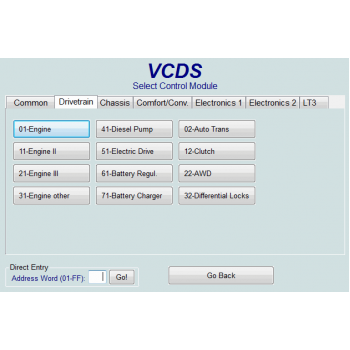 Process of checking diagnostic fault codes (DTC's). Detailed Vehicle Support List: Find out if your vehicle is supported. 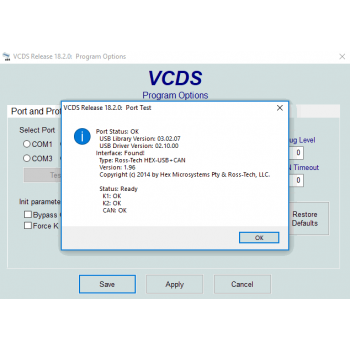 1 x license of VCDS V18.9.0 full version software — including drivers, software download link and installation guide. 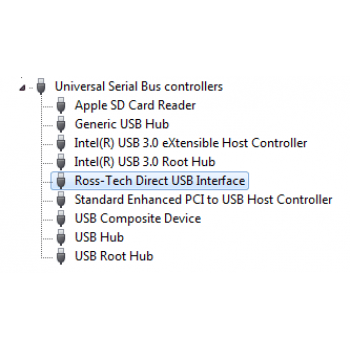 No need to buy software from RossTech. 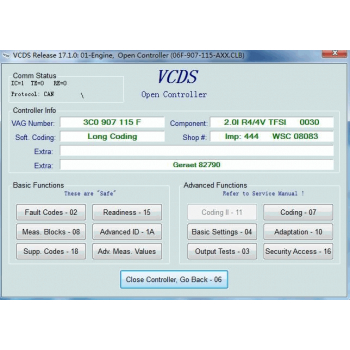 It's already activated to support all manufacturer codes, tuning, coding functions. Now, in case you have any lingering doubts whatsoever, I want to make it foolproof for you. 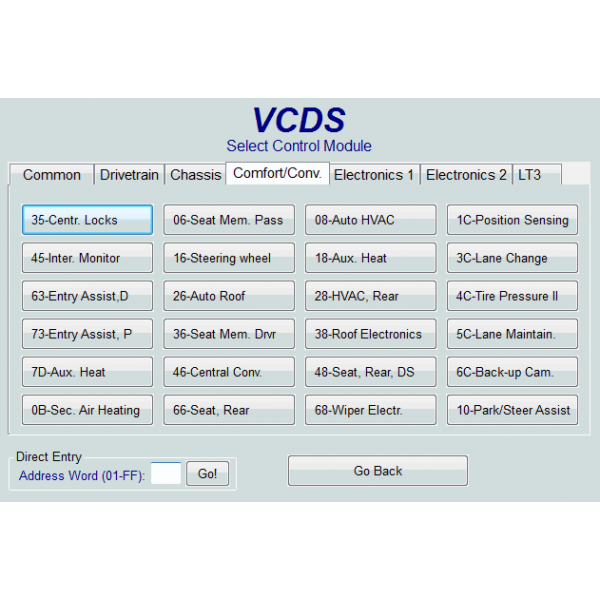 You see, I personally guarantee that when you purchase Total Car Diagnostics VAG-COM you will have absolute control over your VAG vehicle at same level and power of original Ross-Tech VAGCOM scanner. If you don't experience this or it doesn't work in one way or another, I'll refund the entire cost of Total Car Diagnostics VAGCOM to you. Actually, you get double protection. Here's how... At any time during the next 1 year, if you sincerely feel I fell short in any way on delivering everything I promised, I'll be happy to give you a complete refund. Even if it's the day before my guarantee expires. What could be more fair? 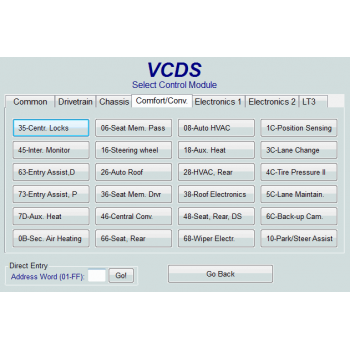 You can test drive Total Car Diagnostics VAGCOM for the next 1 year. 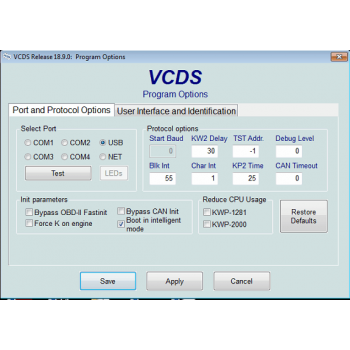 You'll be able to conclusively determine whether Total Car Diagnostics VAG-COM will work for you. If it doesn't, I want you to get, your money back! * To filter out the tire-kickers from genuine customers, we'll only refund if: (1) You have first asked us to help you with your situation. Because we resolve 99% of cases (2) If support is unsuccessful (which is almost never the case), then product must be shipped back to our address in Australia. You have free unlimited support for next 3 years with using this product: We know this tool inside-out because we're car mechanics and use it ourselves to work on customer cars. And this experience is passed onto you when you're dealing with our support. More importantly, we're here to stay as Total Car Diagnostics is a serious established operation with too many companies relying on our 30+ years of combined mechanical/technical experience. We're not going anywhere. Product is manually tested for working condition before shipping: No dead-on-arrival situations. Future firmware and software updates: If update comes out, you won't be left in the dark. We'll immediately give you the update link or instructions. So your tool will always be up to date with current date. *Disclaimer: This only applies if update is actually released by original creators. And/or if it's possible on this unit. For example, sometimes only way to update is to buy a new version altogether because actual internal hardware has changed from previous version.